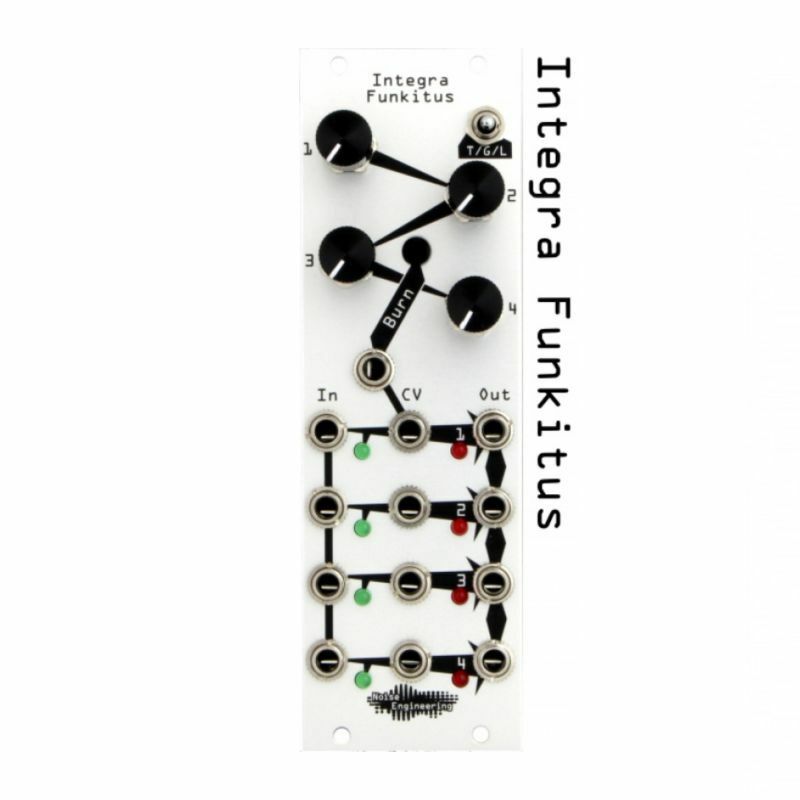 Integra Funkitus takes four input rhythms and combines and modifies them into four rhythm outputs. There are three modes. Two of the modes are based on probability and one is based on generalized logic combinations. Integra - integrate - from Latin integrar "to integrate"